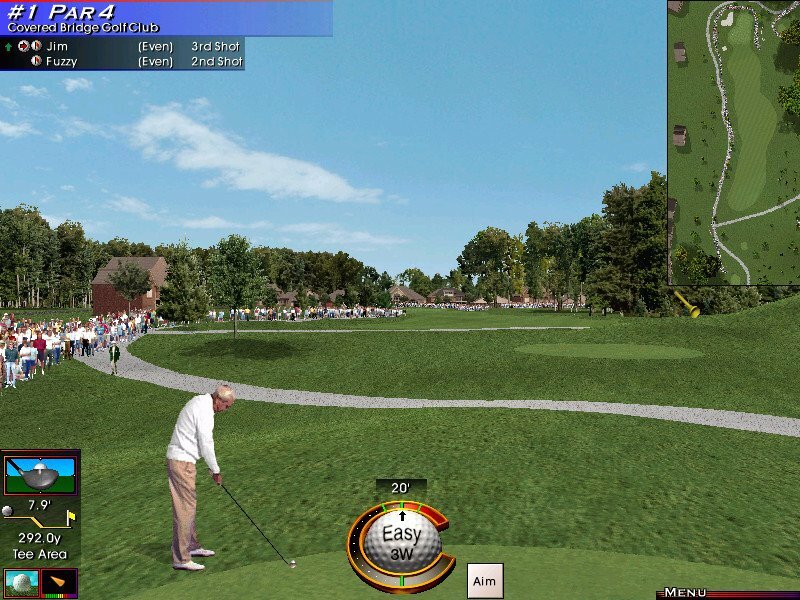 Here’s what you get with Links LS 2000 in a nutshell – a new Easy Swing feature for newbies, an animated Fuzzy Zoeller golfer, three new courses (two of which are at St. Andrews), a couple of new announcers, and a way to set the skies to vary from hole to hole. That’s it. This release of a long-running classic isn’t a huge improvement over the previous version. 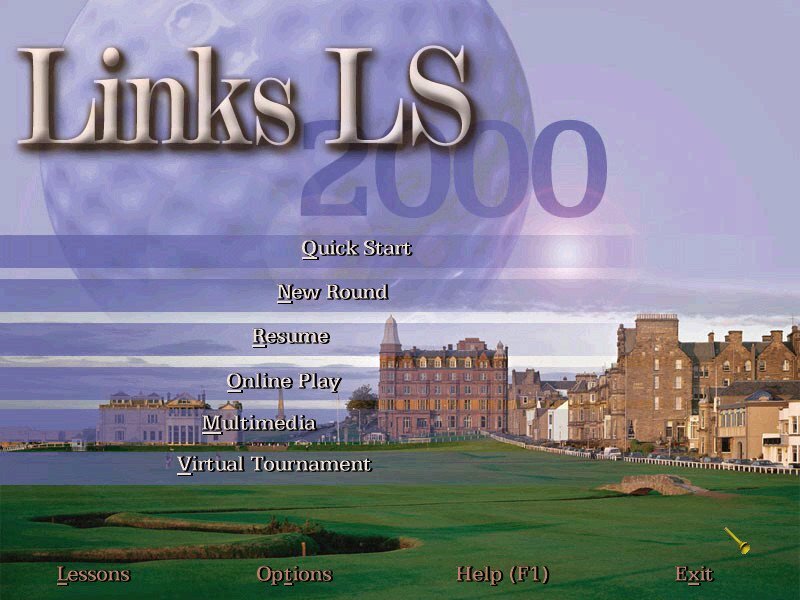 Though people who’ve never played a Links LS game will find a worthy product in Links 2000, the features listed just above are hardly enough for it to qualify as a sequel. Every Links game used a 2D engine that started showing its age with competing games boasting more extravagant 3D graphics at around this time. 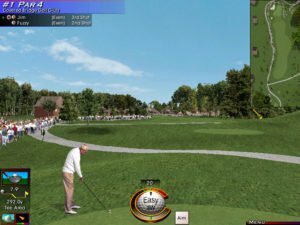 The animated golfers seem blockier and more pixelated than ever before, regardless of screen resolution (and I play with the resolution settings cranked to the max). Golf clubs are noticeably “broken,” i.e. the lines staggered during setups and backswings in a very annoying way. 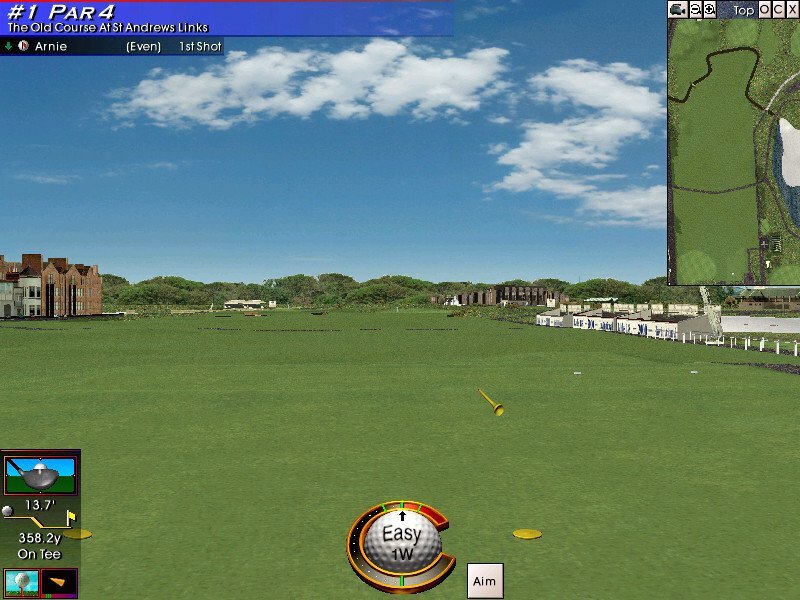 The 2D backdrops remain as picture-perfect and invigorating as ever, particularly on the sumptuous new Mauna Kea course, but the advantages of 3D fidelity have never been so clear. Minor improvements have been made to gameplay, though you’ll need to be a connoisseur of the series to appreciate the tweaks. Bunker shots require an extra touch to pull off, making them significantly less easy (a nice improvement, since sand shots have never posed a greater challenge than shots from the rough). 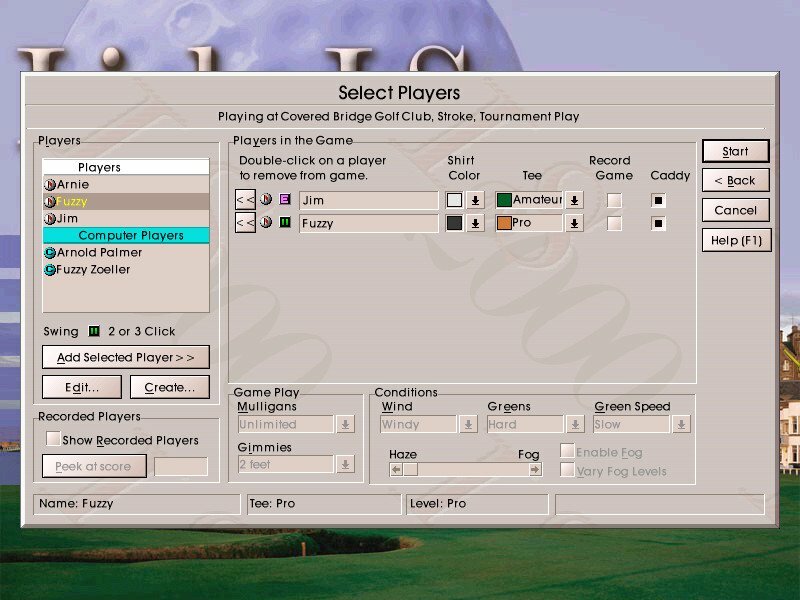 The various swing modes, which range in difficulty from incredibly remedial one-click Easy Swing to full wrist-snap mouse-swing, provide a good evolutionary ladder for realism in swing mechanics. 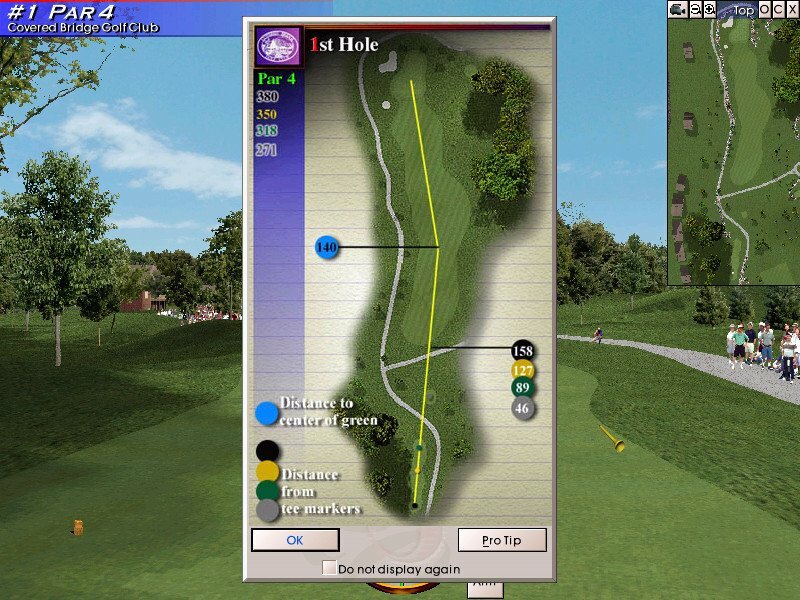 In any case, it’s still a blast to play if you enjoy golf games. 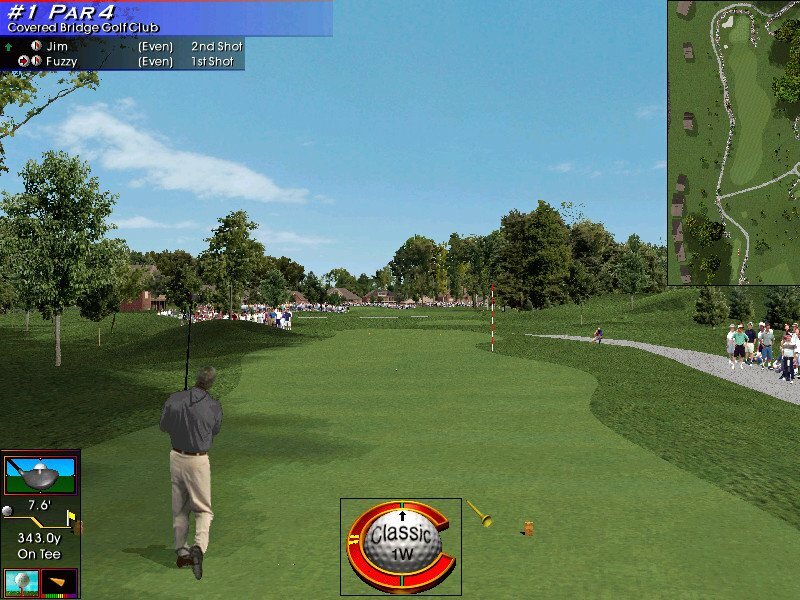 While competitor game series Jack Nicklaus can boast a more immersive 3D engine, Links LS 2000 is still a great choice if you’re new to the series. Will this LS2000 work on Windows 10 or do I have to put it on virtual XP or 7.